When you’re a city with the highest concentration of engineers in the U.S. and your tallest building is a Saturn V moon rocket, people expect pretty smart things from you. 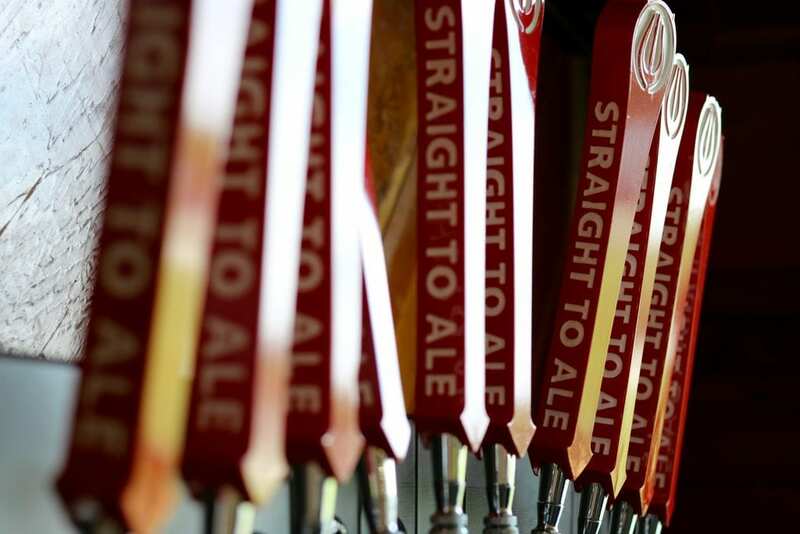 To that end, the burgeoning craft beer scene in Huntsville, Alabama has folks heading back to the classroom (literally) and discovering a thing or two about our stellar local craft brews. LAIKA (a Russian Imperial Stout) – Named for the Russian space dog, Laika is a huge, chewy beast of a beer. Dark, rich and robust, it has a wonderful body and a flavor with notes of chocolate, coffee, and toffee. MONKEYNAUT IPA – Albert. Able. Gordo. Miss Baker. Bonny. Goliath. Between 1948 and 1961, these primate pioneers bravely went where no man had gone before, paving the way for manned U.S. spaceflight. This hoppy little monkey of a beer is a tribute to those simian heroes of yesteryear. It has a citrusy, floral hop aroma, a strong malt body, and a crisp finish. 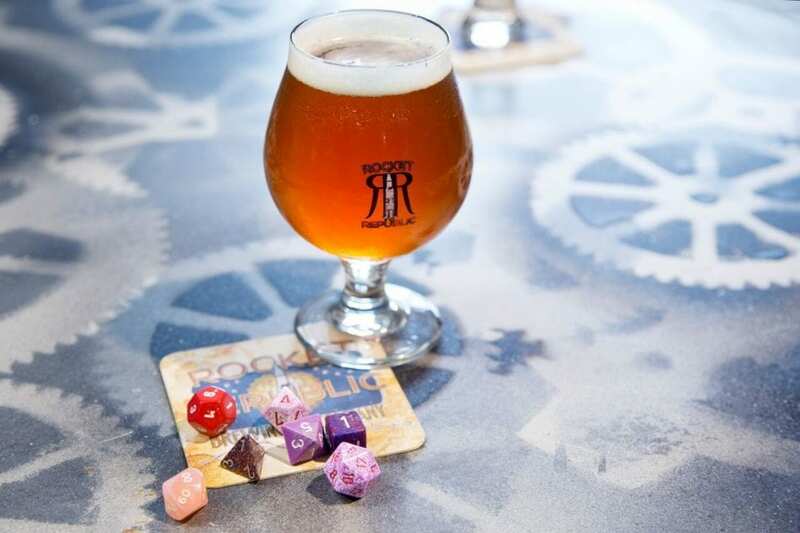 Rocket Republic Brewing Company isn’t shying away from Huntsville’s space love vibe either. 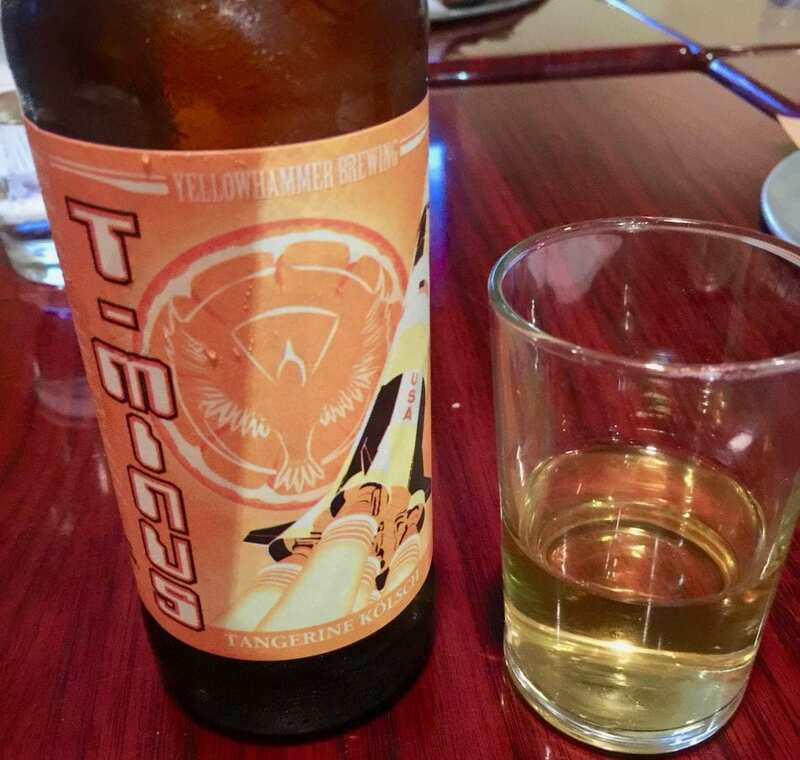 This local brewery maintains a distinctly ‘science class’ approach. VAPOR TRAIL CREAM ALE – Aptly named for the milky white lacing left behind on your glass after this beer is long gone! With a generous amount of honey and biscuit malts, this smooth, sweet, easy-to drink-ale is going to pave the trail in their Flagship Series and will keep you coming back. MACH 1 IPA– Mach 1 is defined as: “the ratio of the speed of a body to the speed of sound in the surrounding medium.” Whatever. What I do know is it’s pretty darn tasty. Fully loaded in all-American style with sweet tangerine aroma and tangy citrus flavor. An ample amount of rye malt is added to the mash early in the brewing process, igniting a zesty pepper kick to the tongue, contradicting the smooth characteristics coming from a cataclysmic combination of Cascade and Centennial hops. Let’s jam on with a ‘music session’ at Yellowhammer Brewing to round out our Huntsville craft brewing course forum. MIDNIGHT SPECIAL (Black Lager) – Creedence Clearwater Refreshing, I would say! A German-style schwarzbier, brewed with a blend of German Munich malt, Vienna malt and huskless roasted malts, giving this beer a smooth toasty character. REBELLION (Red Lager) – Think Prince’s ‘Little Red Corvette’ style rebellion. Crisp and refreshing, this beer tastes good every day of the year. With lingering aromas of light malt and caramel and a light, hoppy bitterness on top, you’re gonna love ’em and leave ’em fast. Perhaps you’re thinking all this ‘school talk’ is just a metaphor. That’s where you’d be wrong. Opened just this year, Campus No. 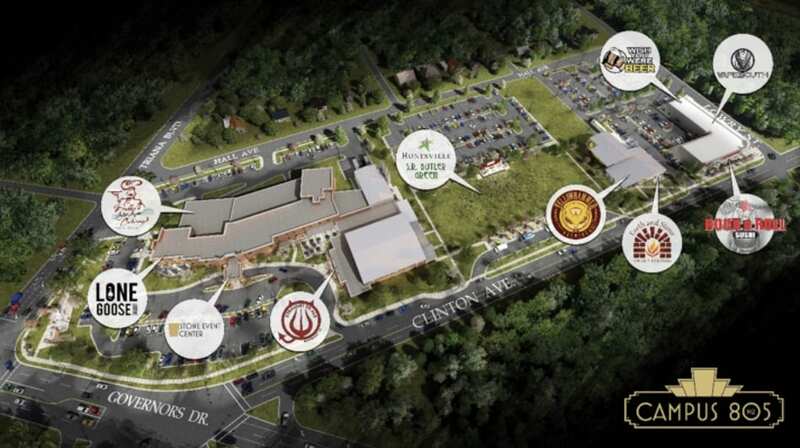 805, its name paying homage to memories held by thousands of students, teachers, parents and administrators that were part of this campus, and to the West Huntsville neighborhood by claiming the last three digits of their zip code – 35805, revitalized a long-vacant middle school complex including new construction for not only Straight to Ale and Yellowhammer breweries but restaurants, bars, event rental space and a public park. 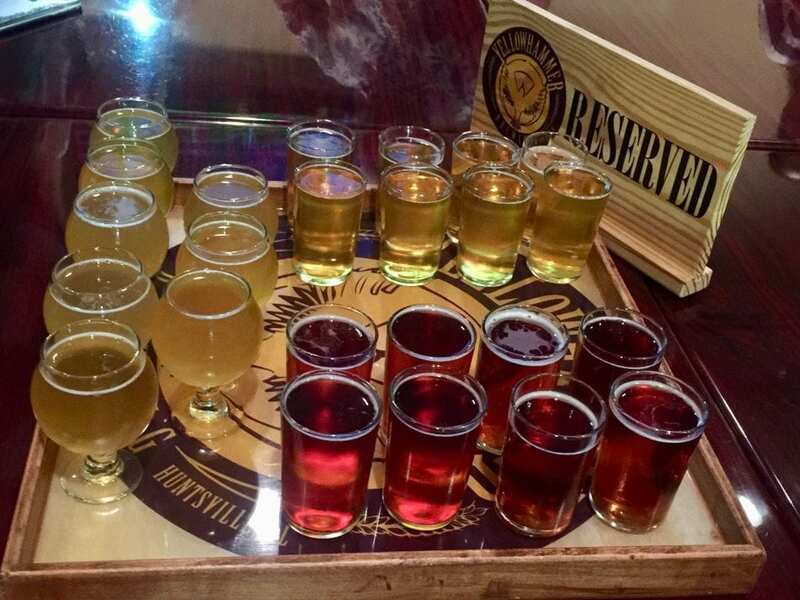 So the next time you need a little recess … or a little road trip, come check out these and six other operating craft breweries located in Huntsville / Madison County, all of which combine to make Huntsville – Alabama’s craft beer capital. 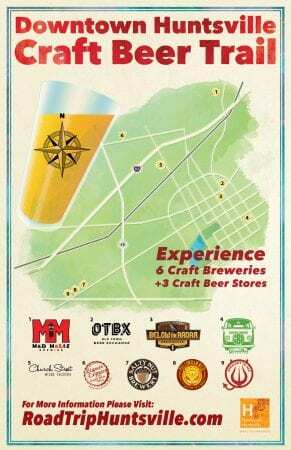 Heck, we’ve even got a Downtown Huntsville Craft Beer Trail!